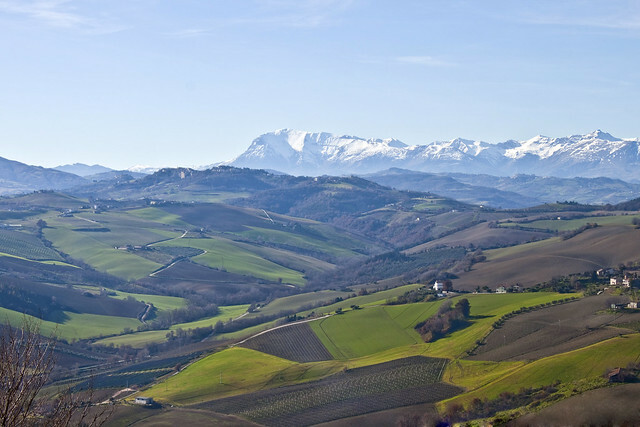 Italy was once divided between east and west by the long Apennine mountain chain that runs down virtually the entire length of the country like an Alpine spine. For centuries, crossing from one side to the other was a long and arduous day of navigating tortuous mountain roads, so many towns nestled in the scenic valleys or perched on hilltops along the route had remained relatively remote. Today, of course, a number of modern, multi-lane highways cut across this natural barrier and traveling across the Apennines is both picturesque and quick. 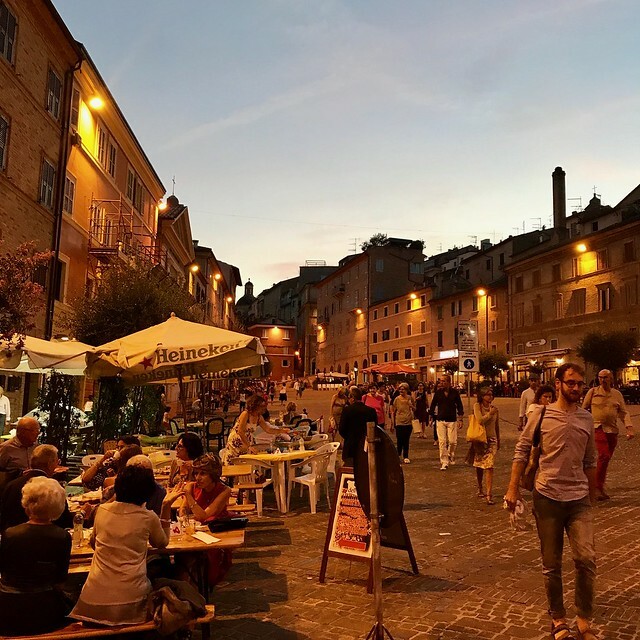 A road trip to visit these mountain towns charmingly untouched by time has become an easy excursion, one which we recently enjoyed when we headed from Foligno in Umbria to the pretty town of Macerata in Le Marche for their annual opera festival. Inaugurated just a few months ago, the new highway 77 “Val di Chienti” connecting Foligno to the Adriatic Coast in just over an hour winds through verdant mountains and 22 kilometers of tunnels before ending in the beach town of Civitanova. We weren't headed out for a day at the seaside, however, but for an evening of music in Macerata's historic Sferisterio, and open-air Neoclassical stadium built at the beginning of the 19th century to host pallone col bracciale matches, Italy's most popular sport for over 500 years. As pallone was replaced by soccer, the stadium was retrofitted over the following decades for calcio, tennis, and theatrical events. 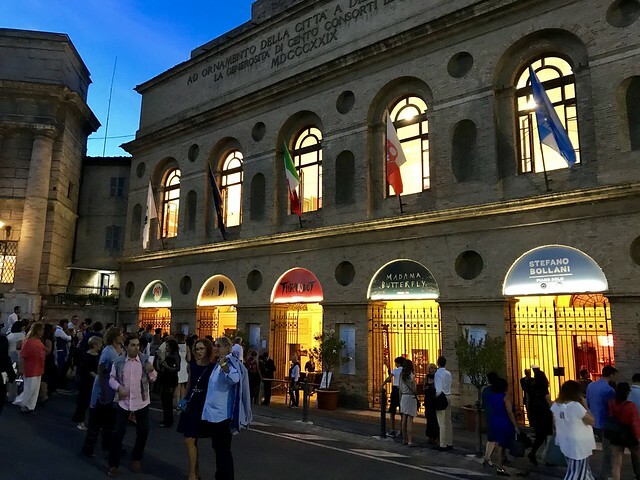 By the beginning of the 1900's, the venue was used to stage opera performances, as well, and in 1921, Macerata's Sferisterio Opera Festival was born. 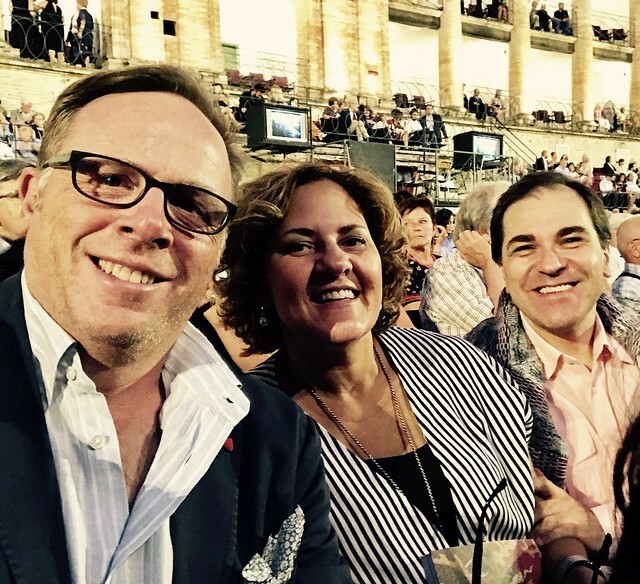 Though the original festival was eventually suspended, the city's current annual celebration has been held since the late 1980's, entertaining up to 3,000 opera aficionados in the unique Sferisterio space, long and narrow, with 10 meter-long wings on either side of the stage and a double row of boxes separated by 56 Neoclassical columns. 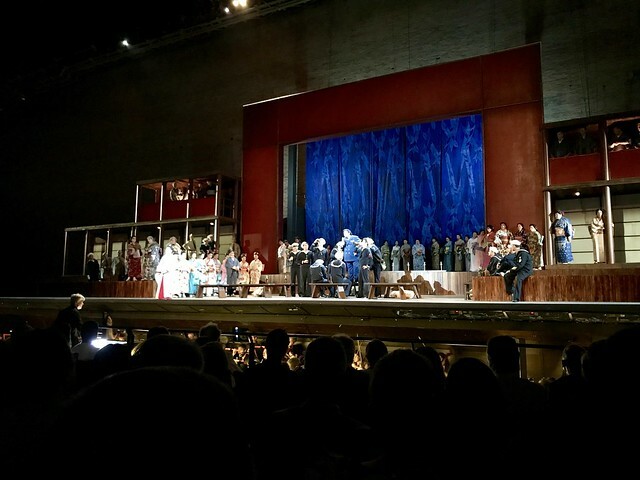 Like the opera festivals in Verona's Arena and the Baths of Caracalla in Rome, Macerata's stagings in the Sferisterio are memorable as much for the venue as for the performance, though the latter festival is much less famous due to its location far from the beaten path of mass tourism. Though the stadium is relatively small, tickets are not hard to come by (though the average price is €100, so don't expect bargain prices), and with a private driver, you can leave Umbria in the early evening and be back after the performance by 1 am. The festival runs each summer for about a month between mid-July and mid-August, though there are a number of other summer concerts each year featuring popular and jazz musicians if you are not a fan of opera or can't make it to the festival. We thoroughly enjoyed our night of music under the stars in Macerata, now just down the street from Foligno, so to speak!